As the cold weather begins to move in, owners of John Deere equipment with an FT4 engine will want to take preventative measures to keep everything running smoothly. By taking a few precautionary tips into account, operators can potentially extend the lifespan of their FT4 engine. Let’s take a look at some tips for keeping this engine in working order as the seasons change. Lighter oil can make it easier on an FT4 engine as it attempts to start in cold weather. Before frigid temperatures move in, conduct an oil change to prep your engine. New oil can also potentially protect the powertrain over time. Cold weather will require you to take your time with your FT4 engine. In freezing temperatures, you should expect to give your machine at least five-to-ten minutes to warm up. This will give your operating fluids enough time to start moving efficiently. In turn, this can reduce wear and tear on your equipment in cold environments. There are external sources of heat you can use to help start your FT4 engine during the winter. An electric block heater, for instance, can be utilized to heat up the coolant in-stream. A diesel-fired coolant heater can use your machine’s electrical system to warm the coolant as well. Some operators choose to use glow plugs, which can heat the combustion chamber. Another option is ether, which can help ignite the fuel-air mixture within the engine itself. Consider these options if you’re willing to invest in another piece of equipment to warm your FT4 engine. Using the right fuel can ensure that you are not using fuel that gels together in cold weather. Prior to freezing temperatures, make it a point to upgrade to winter-grade diesel fuel for your machine. Winter-grade fuel is specifically designed with additives to prevent gelling during chilly weather. Greasing your machine prior to winter can ensure that your engine has the best possible chance at starting easily when the temperature drops. Make it a point to examine the electrical system of your machine before the weather turns as well. Fully charging your system is essential, as damage may occur if you allow the battery to go dead and freeze. 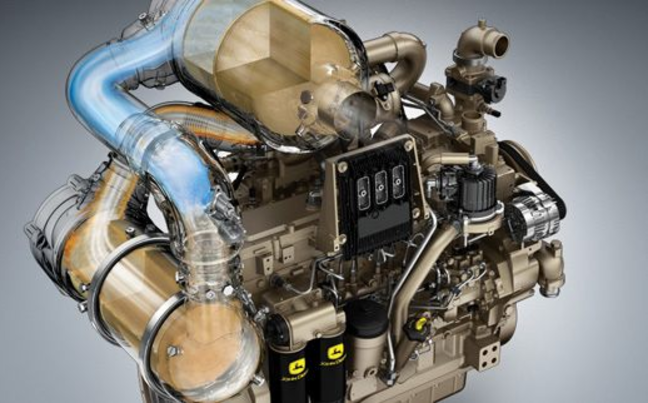 If you have any questions the FT4 engine or starting it in cold weather, contact your local John Deere dealer.